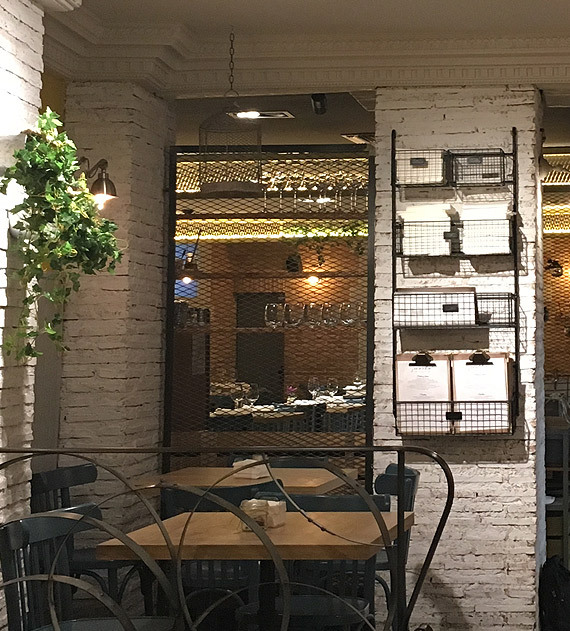 Waska is a bar – restaurant specializing in tapas, ‘pintxos’ – similar to tapas, small plates called ‘platillos’ and excellent menus. These offers coexist in the same space. At lunch time we offer our excellent menu also called ‘Fetén menu’ and in the evenings we offer our menu of ‘platillos’ which consists in a different and elaborated ‘picoteo’ forsharing which you can try in half or full servings. Midday menus are called ‘fetén’ because it refers to the excellence that we pursue in the elaboration and in the final product. Weekdays have a classic structure of starter, main and dessert. However during weekends and bank holidays we include two or three starters and a choice of main courses and desserts. Occasionally we add a surcharge on the cost of the menu to use a superior product range for your enjoyment. In our bar you can taste our different pintxos, tapas, or small dishes from our menu, knife cut ham, or even eat half of the fetén menu. All this washed down with a good selection of wines, with an emphasis on Rioja Alavesa wines and in a very friendly atmosphere with exceptional views to El Prado Park. In summer, you can enjoy our terrace. Our dining room seats 35-40 people. Do not hesitate to contact us if you would like to make a reservation for a special occasion or event. We offer a catering service of any of our dishes by previous reservation. 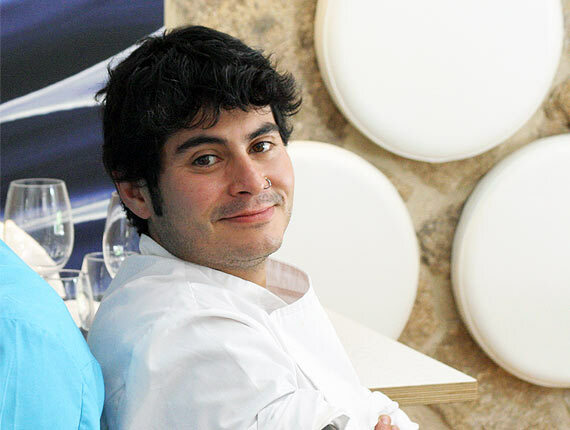 Carlos Davalos, chef and owner, studied cooking at the Superior School of Hospitality in Artxanda (Bilbao). With over 20 years of experience in the sector he has been trained in the kitchens of great chefs such as Jose Ramon Berriozabal (Ikea), JuanmariArzak (Arzak), Martin Berasategui, Hilarioy JosemariArbelaitz(zuberoa) and Ramón Freixa. For five years he managed the mythical restaurant Matteo in Oiartzun where he settled his culinary bases and developed professionally. Currently, he runs Waska as a chef and owner, where his full taste and his long experience are available in order to satisfy his customers by offering the best products and enhancing it with traditional recipes and other more contemporary ones. In Waska we are working so that our customers enjoy the most of their visit. We do everything to improve day by day.